I am currently in the USA on a break and buying a few books. Last week I went to an auction at the excellent Pacific Book Auctions in San Francisco. I seldom go to auctions anymore but I expected to run into a few old faces. Curiously, although I viewed the books for an hour or more on the morning of the sale, I was the only person there. When the auction started 2 more people showed up, one keenish buyer of standard high spot modern firsts, the other a pleasant but cautious book dealer I had seen at fairs -he bought nothing. The sale was in 3 parts- general books of which about a third were bought in (either no interest or too ambitious reserves) the second a bunch of Easton Press Books which sold modestly but with no passed over lots--some to a fourth person attending just for these slightly meretricious (to a British eye) items. Two other people showed up but appeared to do little or no bidding. Andrew from Adobe books came by and was saluted by the auctioneer and myself-he bought nothing and left after 5 minutes. I am growing to like these Easton books in their gilt decorated reconstituted leather bindings (many can still be bought on line from Easton themselves-- a general pic of their 'classics' below.) The signed books are quite desirable especially as they produced books signed by the likes of George Carlin, B.B. King, Andrea Bocelli, George Jones, Stanley Kramer, Elie Wiesel, John Kerry, V.S. Naipaul etc., Some are surprisingly valuable give that most are limited to at least a 1000 signed copies. They love them on Ebay and they sell quite well in England where they are less commonly seen. 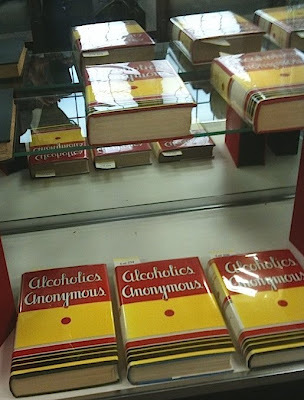 The last section was a serious Alcoholics Anonymous collection apparently shipped over from Europe in its entirety. For this the room emptied and a well dressed couple appeared who I took to be high rolling A. A. punters. They bought nothing. I also bought nothing--no one else was there, there were more staff than attendees. All business was from phone bidders, live bidders over the net (bids announced with a digitalised bell) and bids left with the auctioneers. All buyers were anonymous. The old days of crowded auctions and joshing camaraderie are dead. I bought three books in the earlier part of the sale but with 20% commission and 9.5% local tax I shall be hard pushed to make a profit worth shouting about. nice read about the auction. Goodness me - just looked up some of the descriptions (and prices! 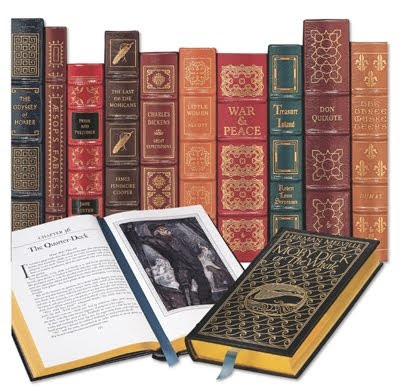 )_ of these books on AbeBooks. Why so dear? Is it so very hard to give up collecting AA books?? Had a look at Pacific Book site also - I see they have a Billy the kid autograph framed with a copy of the usual pic and a debatable daguerrotype. Seems cheaply valued at $10-15k estimate surely. One of my granny's neighbours in 70s Vancouver had been one of Geronimo's guards in Florida and got several signatures from the old man, not sure what happened to them. Geronimo used to make a few bucks by charging for his autograph at fairs and the like - he must have done thousands. I remember reading somewhere that since the invention of the Internet the amount of Boone/Crocket signed stuff had multiplied like pieces of the true cross. Forgeries mostly of course, but in some cases it was people looking in the attic and going 'I wonder. . .' Googling is much less nervy than going to a dealer! I am now adding the word 'stonking' to my vocabulary.